The Oscars ceremony only just finished and the internet is already filled with memes from the night. 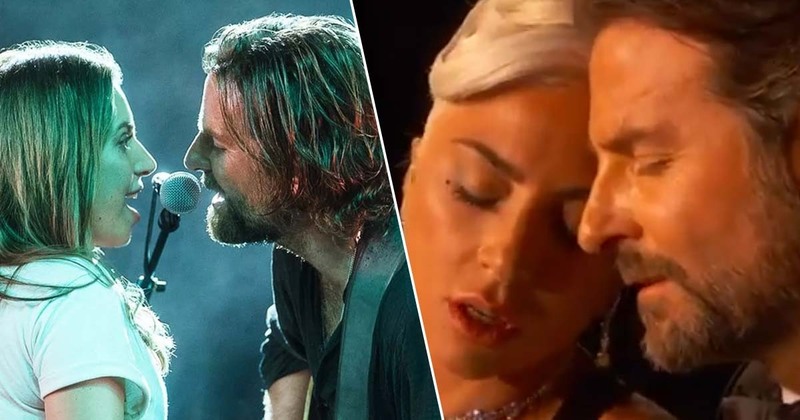 It really didn’t take people on social media long to come up with clever and funny memes using the best moments from this year’s Academy Awards, including Lady Gaga and Bradley Cooper’s stunning performance of Shallow. The pair took to the stage at the event to perform the number one hit song from Cooper’s outstanding directorial debut feature A Star Is Born. Everyone was blown away by the powerful performance which saw Cooper and Gaga gaze lovingly into each other’s eyes across a piano. Twitter was quick to notice the raw intimacy and chemistry between the two, poking fun at the fact Cooper’s girlfriend Irina Shayk watched on from the front row. Bradley Cooper 100% sleeping on the sofa tonight. Lady Gaga looking at Bradley Cooper like Break Up With Your Girlfriend, yeah yeah cause I’m Bored. Bradley Cooper trying to get back into his house after his wife watched him almost kiss Lady Gaga. Irina seducing Bradley when he comes home tonight. There’s no need to worry about Irina though, as she was one of the first to get up and congratulate the pair after the performance. Cooper’s girlfriend of four years and mother of his daughter jumped up to support his performance. Irina was also seen hugging Gaga after Shallow won Best Original Song. Earlier this year it received a Golden Globe for Best Original Song, as well as four Grammy Award nominations, including Record of the Year and Song of the Year, winning Best Pop Duo/Group Performance and Best Song Written for Visual Media.